Posted in Codename News, Bush Whacker 2. Heart disease is one of the top three leading causes of death in Canada and many other countries around the world, but we can make a difference! Talk to Doctor Orible in the Commons to do 3 quests, and buy the Hearty Pet Pack for only $10 to help out the Heart and Stroke Foundation! The Heart and Stroke Foundation of Canada (HSFC) supports Canadian research, works closely with the American Heart Association and the World Heart Federation on an international level. Heart disease and strokes affect many people and the research that HSFC supports helps reduce the risk of it happening and aids in getting people who suffer from it cured. To learn more about the Heart and Stroke Foundation, click here. The sale runs until Friday July 31st at Noon PDT. Talk about it on the forums! Posted in Egg Breaker Adventures. It's Vacation time! 12 of the Egg Breaker Monkeys are packing their bags, and getting ready to set off on their annual summer vacations - there's just one catch; None of them can actually afford their airfare! You'll need to help these poor, unfortunate monkeys raise the funds to achieve the vacations of their dreams! You're going to have to work hard and use those multipliers to earn enough gold to get the monkeys where they want to go! Thankfully, you have the Vacation Blitz Buff in the Vacation Monkey's stages to help you increases your chances to find multipliers and gold. - 12 Vacations to send the Egg Breaker Monkeys on. Each Monkey needs you to raise the gold to pay for their vacation (Aw, you're so nice!) As each Monkey is set off on vacation, the next goal will become available automatically and you will start earning towards it. 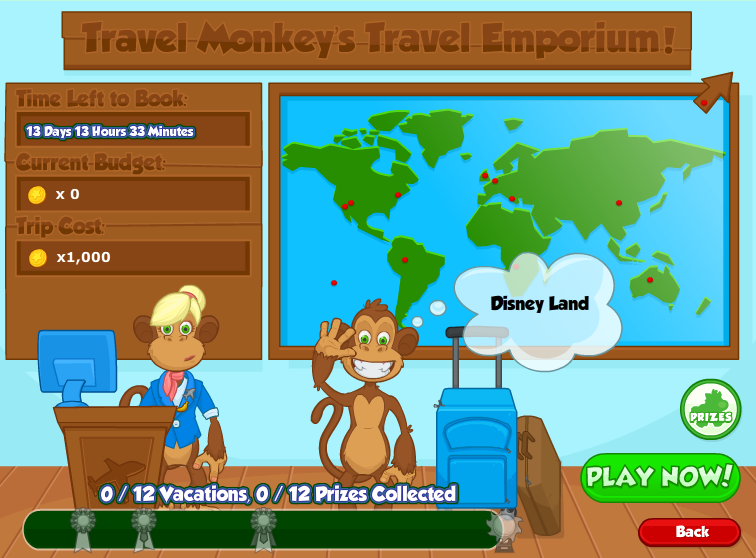 Track the Monkey destinations across the world as you help them reach their goals! Visually track your progress towards Vacations earned, Prizes collected (Click the Prize button to see which ones you've earned/are missing), Progression Ribbons and the Vacation Trophy! 3 successive ribbons for progression, which permanently add additional +5, +10 or +15 hammers respectively. Can be displayed in the trophy room. Ribbon and Trophy (if earned) are awarded after the event finishes on August 12. The highest ribbon earned will be awarded. - Must be used by 11:59:59 PM PDT on 2015-08-13! Small increased chance to win multipliers when equipped. The Vacation Event will run until Wednesday August 12, 2015 - Noon PDT. Chat here about summer vacation fun! Posted in Codename News, Egg Breaker Adventures. We at Codename Entertainment are showing our support for the Heart and Stroke Foundation by donating our share of proceeds from two new hats in Egg Breaker Adventures. The Heart Ribbon Hat adds a small chance of a Bonus Star and Less Nothings. The Jump Rope Hat adds a small chance of a bonus 4x Multiplier and More Multipliers. The sale will run until Wednesday July 29th at Noon PDT. Posted in Bush Whacker 2. Tags: event, bw2, new content. The Carnival has returned to town! Get ready to play some games, help some Bushwhackian residents and win carnival tokens which you can exchange for cool prizes at the Carnival Event Vendor! A staple of any summer carnival or fair, are those devilish carnival games. There are four different games which will unlock over the course of the event and they include "Balloon Popper," "Whack-A-Mole," "Baseball Throw," and "Duck Shoot." Don't worry, there's no skill involved with these games, you play them automatically when you interact with them. To get started, the Balloon Popper game is unlocked! As well, it seems William needs your help to satisfy his sweet-tooth! Keep an eye out for a new addition to the event zone later on, that's a splashing good time! Event Achievements- POSSIBLE SPOILER ALERT!!! There are up to 13 possible achievements that can be picked up during the Summer Carnival 2015 event, dependent on your game history. Step Right Up - Win a Prize Token gaming at the Carnival! We have a Winner - Win 8 Prize Tokens at once at the Carnival. Carnival Ace - Win 8 Prize Tokens at all 4 Carnival Games. Gotta Try 'Em All! - Play all four games offered at the Carnival! Big Time Bonus Buyer - Purchase 10 Bonus Prize Packs from the Carnival! Sweet Tooth - Help William satisfy his Sweet Tooth. Or not. Dunk-a-Thon! - Dunk all eight unique Carnival Event dunk-ees! * The Carnival Mini Golf piece is NOT included in the Carni-Value! achievement, and therefore it is not required to purchase it. Party at My Place - Buy all 6 house items from the 2012 Carnival! Carnival Collector - Purchase all of the 2013 Carnival event items. Carnival Connoisseur - Buy all the 2014 Carnival event items. Post your celebration plans on the forums! The event will run until Saturday August 8th at Noon PDT! To kick off the event, we're having a sale! Get 30% more on purchase of 50 Bush Bucks or more! Plus, if you purchase 100 Bush Bucks or more, get a free mount! The sale runs until Tuesday July 28th at Noon PDT! When will the last quest unlock? All quests will be unlocked by the 11th day of the event. Where can I see my achievements and their progress? Click on the inventory icon and then click on the Achievements list (gold star). Look for the ones listed above in that list. Where can I buy Last Year's items? There are two vendors. The one in the tent has this year's items. The other is the one with the party hat and will have all previous year items for Bush Bucks. What contributes to my 100% progress? You need 200 plays of any combo of the games to get 100%. Just whack up tickets and turn in quests to get tickets as well. Why do I want to ask friends for help? It helps you rig the game and improve your chances of getting 8 tokens. Do I have to do the achievements? No. Completing the goals for the achievements is totally optional. You get either a large energy pack or a title for your character from them, no event progress. Where can I see all the achievements available and how to get them? Either on the holiday dialog, the achievements dialog, or on the blog. Tags: event, new content, eba. Music festivals are happening all over the world right now, and the Monkey Islands are no exceptions! Join in with their Monkeypalooza in the Music Festival Burst Event! For the duration of the event, special challenge eggs will temporarily replace all normal challenge eggs, and the eggs will appear at a higher than usual rate. 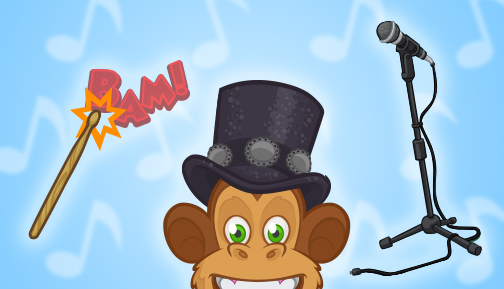 Players can earn 12 event prizes of various Music themed items from cashing in Event Tokens with the Challenge Fairy Monkey. Plus, for the toughest of tough challenges, there are 3 awesome prizes! The Guitarist Top Hat which adds less Nothings! The Drumstick Hammer which adds more Multipliers! The Microphone Stand looks awesome in any trophy room! This event will run until Tuesday July 28th at Noon PDT. Introducing The Crusaders of the Lost Idols! Posted in Codename News, Crusaders of the Lost Idols. Tags: new game, idols, crusaders. Victoria, British Columbia, July 23rd 2015 - Codename Entertainment is excited to release a brand new IP today, Crusaders of the Lost Idols! From the studio that brought players the worlds of Shards of Titan, Egg Breaker and Bush Whacker, comes a new and unique incremental game. Crusaders of the Lost Idols is an idle game of heroic awesomeness! Players join their Crusaders to fight monsters, win gold and create the perfect formations for clicking or idling. Over time, players reset and see how many Idols they have earned. Fight waves of monsters as their Crusaders march through an endless world. Help out by completing quests and defeating terrible bosses. Unlock chests to find awesome loot and equip their Crusaders with epic gear. Arrange their Crusaders in the optimal formation to maximize gold, DPS or click damage. Progress through 100+ area levels at launch. Get bonus power and gold from all the achievements. It is currently available in early access on Facebook and will be accessible from Kong Plus Beta shortly. ABOUT CODENAME ENTERTAINMENT: Codename Entertainment was founded in 2008 in Victoria, B.C. by David Whittaker and Justin Stocks with the successful launch of their first title, "Egg Breaker". 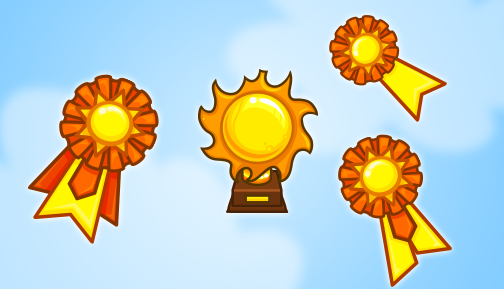 Egg Breaker's success hatched three successive games, Egg Breaker 2, Egg Drop and the current title in the series, Egg Breaker Adventures. Created in 2010, the classic Bush Whacker appealed to adventurers who were looking to smack some shrubbery and see what popped out. Following its success, Bush Whacker 2 was released in 2012, and celebrated its third anniversary earlier this year with much cake. It was not a lie. In 2014, the company launched Shards of Titan for players looking for an epic role playing adventure through a fantasy land shattered long ago by a terrible cataclysm. Codename Entertainment, Shards of Titan, Crusaders of the Lost Idols, Egg Breaker, Egg Breaker 2, Egg Breaker Adventures, Bush Whacker, and Bush Whacker 2 are trademarks of Codename Entertainment Inc. All other products named herein are trademarks or registered trademarks of their respective companies. Tags: bw2, new content, pet sale. Today's sale is a little bit different from other we've done in the past, but it has the potential to be one of the best deals ever! These adorable little Meerkats may look normal, but they hide a powerful secret! Everyone's Meerkat pet from this sale will get stronger based on the number of Meerkats bought or gifted by all Bush Whackers! You can talk to the Meerket Farmer in the Commons to learn more and to keep track of the Meerkat's progress towards bigger bonuses! The Meerkat starts with odds of up to 15% Mana and goes up based on the number sold across all sites! For only $20, you get the Meerkat, 100 Bush Bucks, a level 20 Pet Treat and VIP Voucher! The sale will run until Friday July 24th at Noon PDT! Tags: new content, bw2, the commons, daily quests. It's Election time in the Commons! If you've built Natalie's House and participated in Sasha's House party, talk to the Town Crier to initiate the questline! It seems you've been nominated as a candidate for mayor! Campaign your heart out to residents of the Commons in order to compete with your fellow nominees! Will your Bush Whacker survive the drama and come out on top? Whack bushes and find out! If you win the election, you'll unlock a new set of daily quests from the Town Hall. These quests will run exclusively to the General Store ones, just like the Skyscraper/Inn daily quests. Share your votes on the forums! Posted in Shards of Titan. Tags: new content, shards of titan, sot, pets. Introducing the Pet Shop! Build it to use eggs and growth supplies to start growing a pet of your own! Growth supplies and eggs will drop from chests and battles from running missions. The different types of Purified Waters will only drop from the area they belong to. Or if you have Pet Tokens, you can buy supplies and eggs! Mix the egg with crystals and water to start the growing process. Wait and see what pet grows! Have some extra gold or lumber burning a hole in your pocket? Donate to the Pet Store every 20 hours to get some extra Pet Tokens! Plus complete other tasks! Too many pets? You can sell them to the NPC in the pens to get Pet Tokens! Talk about your breeding on the forums! To get a head start, pick up a Pet Shop Starter Pack! It comes with an Epic Pet Egg, a Rare Pet Egg, 20 Regular Growth Crystals, 10 Forest Purified Waters, 10 Jungle Purified Waters, 20 48-hour Growth Tank Power Crystals and 500 Pet Tokens for only $20! The sale will run until Wednesday July 22 at Noon PDT! The Challenge Fairy needs help collecting supplies to go on an awesome Camping trip! Break eggs to help her stock up! For the duration of the event, special challenge eggs will temporarily replace all normal challenge eggs, and the eggs will appear at a higher than usual rate. Players can earn 12 event prizes of various Camping themed items from cashing in Event Tokens with the Challenge Fairy Monkey. Plus, for the toughest of tough challenges, there are 3 awesome prizes! You can get a Campfire Wiener Hammer which adds less Nothings, a Leather Fedora which increases Silver Egg chances and a Lantern to light up any trophy room! Chat about it on the forums! The event will run until Wednesday July 22 at Noon PDT!